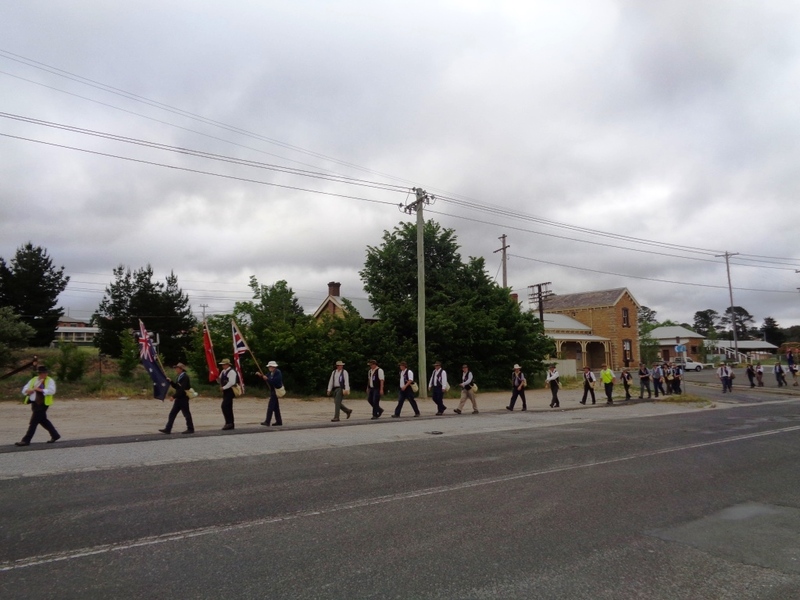 The marchers departed Wallerawang at 7 am. They stopped for lunch at a scenic spot just off Glowworm Tunnel Road at 1.30 pm. 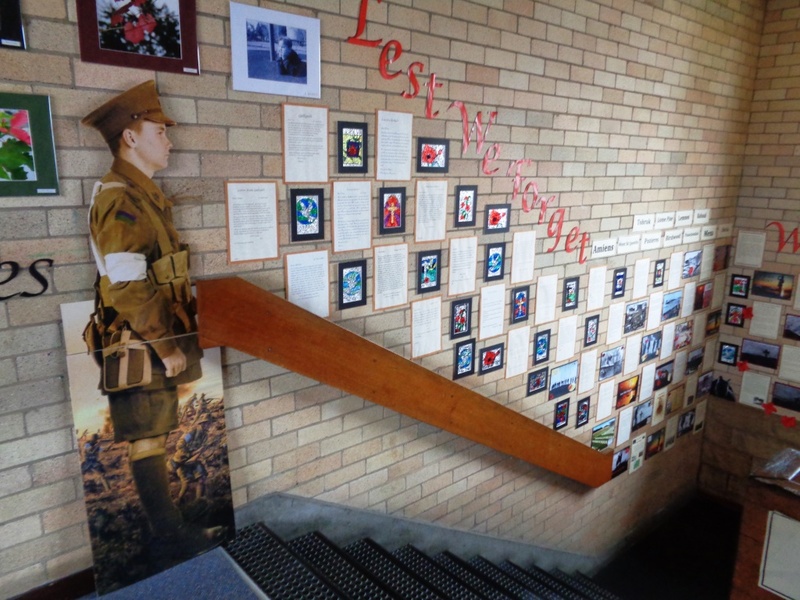 Some of the support people were invited to Cooerwull Public School to view the students’ WWI letter writing, research, and artwork. The support people talked to the students about the Coo-ee March, Don Kenaugh told them a poem written about the Coo-ee March in 1915, then they sang songs with the students including ‘It’s a long way to Tipperary’ and the National Anthem. 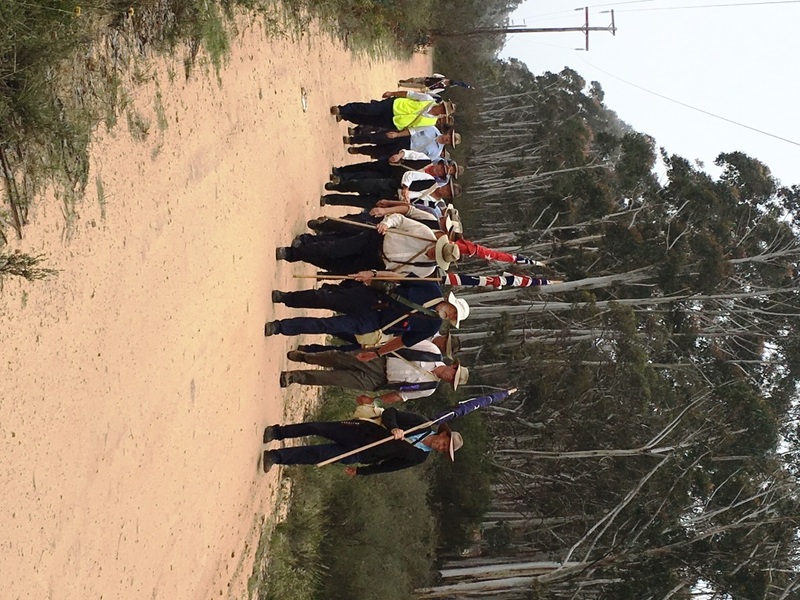 The marchers arrived at Queen Elizabeth Park in Lithgow about 3.40pm, after marching about 33 km. 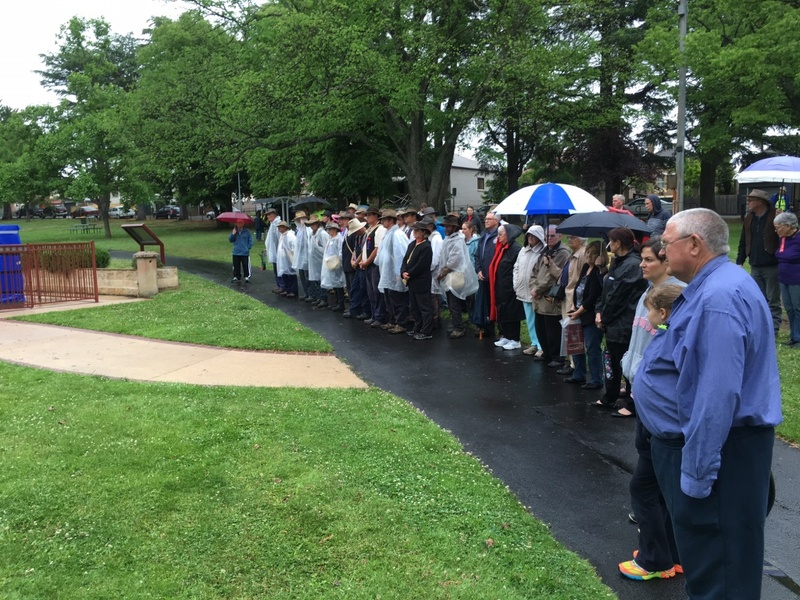 A commemorative service was held in light rain at the Lithgow War Memorial, where the Mayor of Lithgow, Cr. Maree Statham, gave them a welcome. The marchers then enjoyed a buffet dinner provided by the Lithgow Lions Club at the Civic Ballroom at Tony Luchetti Sportsground. This entry was posted in Memorials and tagged Lithgow. Bookmark the permalink. What a wonderful achievement, I am full of admiration.